Whitecliff Winery in Gardiner is part of the recently launched Hudson Valley Cabernet Franc Coalition. Defining a regional identity for the Hudson Valley is difficult when the soil seems to breed innovators. We spoke to food and beverage leaders about the HV brand. Wherever chef Ric Orlando travels, people have heard about the food and beverage scene in the Hudson Valley. But when he asks those he meets for specifics about that scene, details are not forthcoming. "The answer is usually, 'Yeah, I heard you guys are doing some cool things,' but nobody knows what those cool things are," says the chef and consultant at New World Bistro Bar in Albany and the former owner of New World Home Cooking in Saugerties. This uncertainty may be because unlike regions such as Texas or California that are associated with a cuisine like barbecue or beverage like wine, the Hudson Valley does not have one specific specialty or identity. Instead it is home to a freewheelin' mix of creative chefs, brewers, farmers, distillers, and winemakers, united in their admiration of the farm-fresh local ingredients the region is known for, but delightfully divided in what they do with these products. As a result the culinary style of the region can often be described with a single word: diverse. "Other regions can be pigeonholed," says Todd Erling, executive director of the Hudson Valley Agribusiness Development Corporation, an economic development nonprofit dedicated to supporting agricultural entrepreneurship in the region. 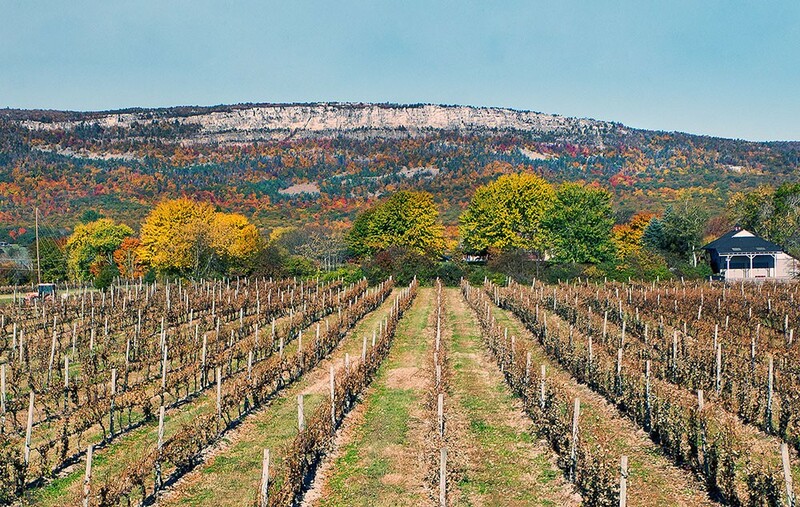 "The Hudson Valley represents a significant spectrum of world-class producers. It's really that holistic ecosystem of agriculture, food, and food systems whereas some other regions that have branding are much more parochial to something more specific." Think Sonoma Valley and wine. Erling adds that diversified a food system has "been a component of agriculture in the Hudson Valley since Colonial times." This diversity of agricultural products extends from the farm to the table. "We are getting known for a classic 'farm-to-table' style, using local ingredients to create delicious meals," Orlando says. "Our corn, winter squash, and root veggies are unmatched, and I have eaten plenty from around the US to compare it to. Our local produce—both fruits and vegetables—are great because we get enough rain and have relatively cool nights, making for very sweet stuff. Sadly, we have a very short season and a limited window to utilize it all. Our cheeses, dairy, and meats are also very special here." Don Lewis, founder of the Wild Hive Farm Community Grain Project in Clinton Corners, notes that at times the Hudson Valley has been associated primarily with apples. 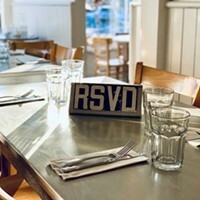 "It's now evolved and it really falls more into a standard of living identity that encompasses a food system," he says. "I think that it's a little similar to parts of California that have a really tremendous food system, and a standard of living and the food system that go along with it—a lot of access to a lot of products and a lot of variety." Over the last few decades, Lewis has helped promote local grain-based agriculture at Wild Hive, offering Hudson Valley grown and milled heirloom grain varieties that are beloved by top chefs and bakers in New York City. He says the region definitely has a distinctive terroir that shows up in its grains. This may not be instantly noticeable when comparing a grain grown in the region to grain grown nearby, but when you compare it to commercial grain products the difference will be clear. "Terroir is unique and present in grains that are grown at a slower pace, and are stone milled," Lewis says. "So, if you're buying grains in the Hudson Valley from producers that have their flour stone milled, than you're really getting the flavor of the Valley." The region's multifaceted agricultural influence is also found in its craft beverages. The region has garnered a good deal of acclaim in the beer world. For instance, Sloop Brewing Co.'s Confliction won the Gold Medal for best American-style Sour Ale at the 2016 World Beer Cup. 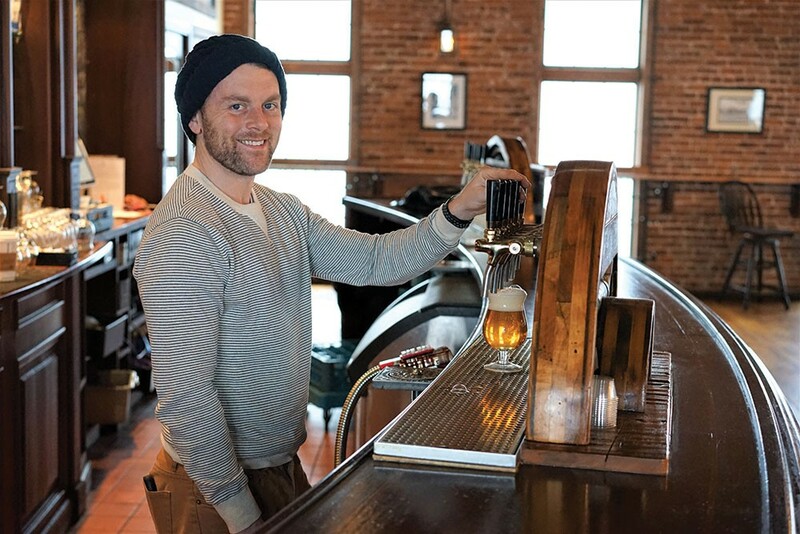 "Just like with ingredients from local farms, restaurants can now carry local beer not just because they want to support local but because the beer is genuinely world class," says Paul Halayko, president and cofounder of Newburgh Brewing Company. Asked if there's a specific style of beer the region is known for he replies, "Maybe it is as simple as high-quality or well-made; that's the beer identity of the Hudson Valley." Halayko adds, "In 2018, any discussion of the best beer-making region in the country has to include the Hudson Valley. Which means bars, restaurants, and retailers have an embarrassment of beer riches right at their fingertips." These riches are frequently enhanced by local ingredients. "Breweries tend to develop a strong sense of place with their home, which means they are always eager to support local whenever they can," Halayko says. "That sense of place comes from the local farms that we work with, in supplying them our spent grain, to the sense of local community that is created in our taprooms. What is also exciting is what's happening in the Hudson Valley when it comes to hops and malt. For us, we now use malt from Germantown Beer Farm in almost all of our beers. They call their malt 'Hudson Valley Malt.' It isn't the entirety of our grain bill for a beer, but it is present in almost every beer we brew. It's a high-quality product, and we love working with them. Both hops and malt produced in the Hudson Valley have the opportunity to put our region on the map." A potential drawback to a region so diverse in offerings is that it becomes harder to market in as focused a way to those not familiar with it. There's no particular lane for the Hudson Valley to stay in. As Orlando bluntly puts it while describing the food scene, "We are a bunch of chefs doing our own things." And no matter how good they are, it's hard to promote as a region when there's not one specialty. To combat this, both area wineries and whiskey producers have launched geographic-based branding efforts. 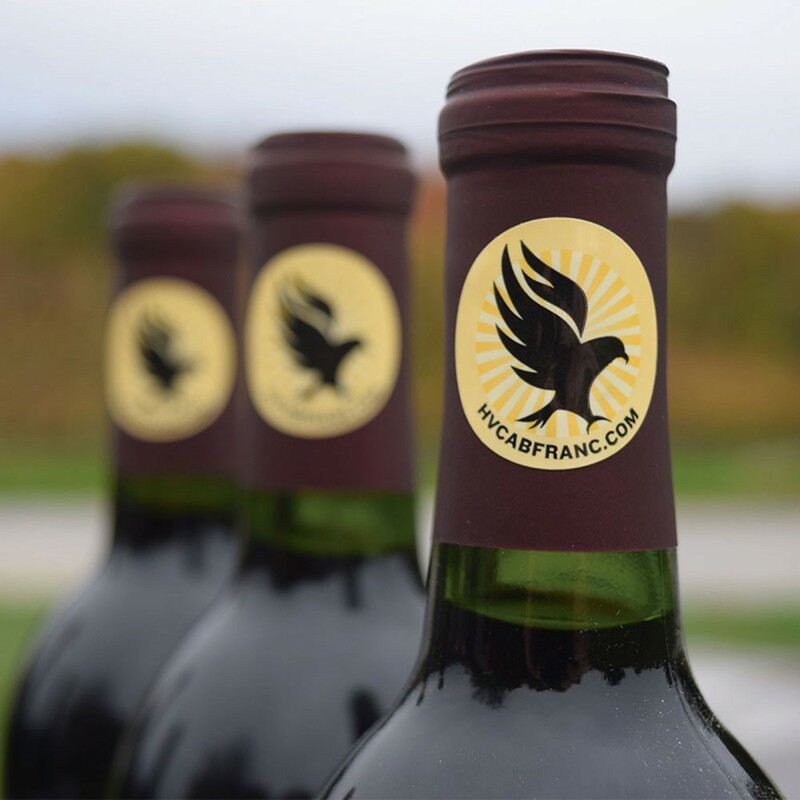 In 2016, the Hudson Valley Cabernet Franc Coalition launched to showcase the high quality Cabernet Franc wine being produced here. Last fall, Empire Rye debuted as a style, formed by a coalition of distilleries across the state. The Empire Rye label is open to any New York distillery that makes a rye whiskey utilizing 75 percent New York-grown rye, along with other requirements. "We are now branding the region as a specialist in Cabernet Franc, a grape that is very well suited to growth and wine production here in the Valley," says Yancey Migliore, who founded Whitecliff Vineyard & Winery in Gardiner with her husband, Michael Migliore, 20 years ago. "The Valley saw wine grape production as early as the seventeenth century with the French Huguenots, and in the nineteenth century we provided all the wine and table grapes for the East Coast—from Philadelphia to Boston. Government policies have had a huge influence on our agriculture: Prohibition resulted in a dramatic shift from wine grapes to apples; the New York State Farm Winery Act in 1981 brought the industry back by making it easier to create wineries on a small scale. Subsequent policies under Governor Cuomo have resulted in a literal geyser of new products." 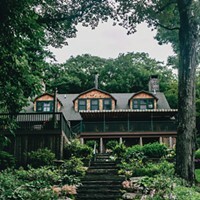 Migliore adds, "For consumers, Hudson Valley wines offer an opportunity to discover a region whose wine quality has raced ahead of its reputation." Her winery has helped bolster that reputation. The winery's 2009 Riesling earned the honor of Best White in Show at the San Francisco International Wine Competition, "where 45 judges tasting blind judged it better than 1,300 white wines from 27 countries and 28 states," Migliore says. "And in 2015 we brought the first ever New York State Grape Grower of the Year Award to the Hudson Valley, which for 30 years had always been awarded in the Finger Lakes and Long Island." The inspiration behind Empire Rye was to restore New York's pre-Prohibition reputation as a rye producer, the same way Kentucky is associated with bourbon. 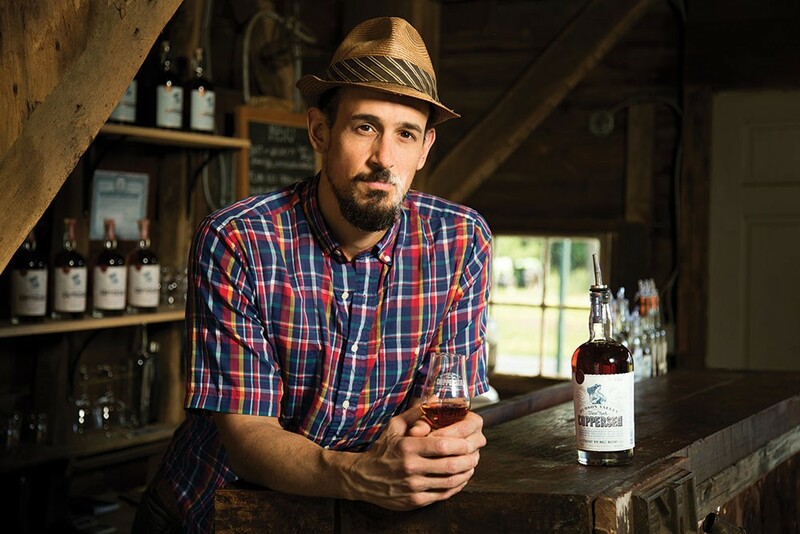 "It is our way of stating in a very clear way that we're making a claim to rye that we're deliberately choosing to breathe life back into that category and make New York once again famous for its rye whiskeys," says Christopher Williams, chief distiller at Coppersea Distilling in New Paltz, who conceived the Empire Rye concept. "We deliberately made it a difficult thing to produce that whiskey. So that name has meaning that is very clear, very understandable in the market. Things like using a minimum 75 percent New York State grown rye. In a lot of ways that's more challenging than making Kentucky bourbon. Kentucky bourbon doesn't have to be made from Kentucky corn; it can and often is made from corn and other grains with no known provenance." Williams adds, "Whatever the notion of provenance or terroir is, we are certainly on a path to realizing it. There are a lot of debates about what exactly terroir is and whether whiskey can be made to have terroir but it's got to start with the grain. So if it's going to have it, it's got to be made in a way that is consistent with the way that we make Empire Rye." Beyond the products produced here, Erling, from Hudson Valley Agribusiness Development Corporation, says another aspect that makes the Hudson Valley distinctive is not the locally produced agricultural products themselves, but where they can be brought to market. Within a five-hour driving radius of Kingston there are 55 million mouths, he says. This is a potential customer base unlike that on the West Coast and one that makers, crafters, farmers, and culinary creators all along the food or production process can take further advantage of in the future. "It's a market opportunity that doesn't exist anywhere else in the world," Erling says.